After my recent success with mango chutney I decided to continue on the Indian theme for my next recipe post. At the same time I was tempted by a great offer on limes at Harris Farm Markets. I love using limes, especially in Mexican dishes. Limes are not only high in vitamin C they also contain unique compounds that are said to give them anti-carcinogenic, anti-oxidant and antibiotic properties. 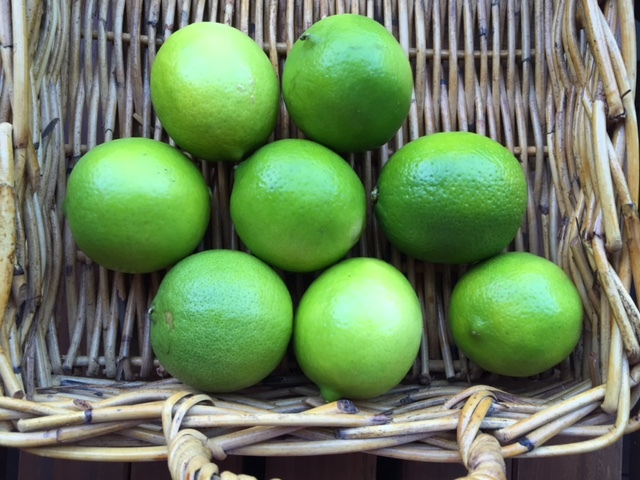 When they’re out of season and the price skyrockets to $3 per lime I can’t justify buying them too often, but when 8 limes cost only $2 I buy tons of them. So the obvious choice when combining the Indian theme with all of those limes I’d bought was a lime pickle. I sourced this recipe from taste.com.au and made two adjustments. Firstly I omitted 125g of sugar. Secondly I replaced mustard seed oil with coconut oil. By simply removing the sugar this pickle becomes another flavour packed recipe that’s really healthy. Not only are limes good for you but combine them with garlic, ginger, chilli and vinegar and you’ve got a pickle that’s packed with superfoods. Of course if you’re not on any kind of quest to eliminate added sugar then by all means include it or consider replacing it with a natural sweetener like stevia. Not a fan of Indian food? Don’t worry – this pickle also works well on sandwiches, with fish or as a dip with raw vegetables. 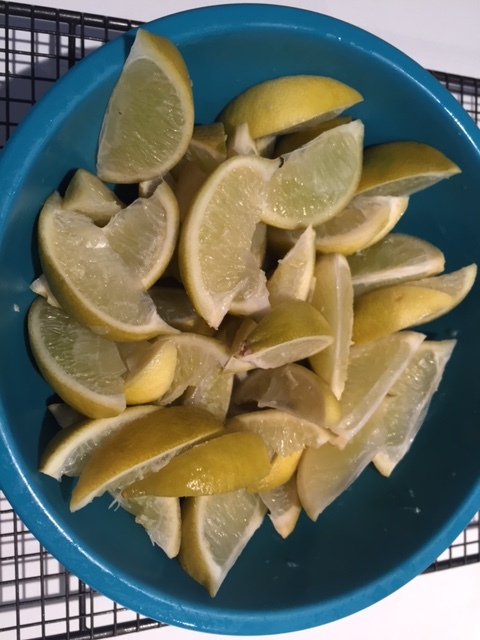 Before embarking on this recipe note that the limes, once chopped, need to be kept in salt and stirred regularly for two days. Only then do you add the spices and cook the limes. Using a sharp knife cut each lime into 8 wedges. Add the limes to a large bowl and evenly mix through the salt. Cover and store the bowl in a cool dry place for 2 days – stirring a couple of times each day. Prepare all of the other ingredients so you can move quickly at steps 3 and 4. Heat the oil in a pan on a medium heat and add the mustard seeds – cook briefly (30 seconds or until the seeds start to pop). Add the garlic, ginger, cumin, coriander and chilli. Cook and stir for 30 seconds or until fragrant. Pour in the lime mixture, water, vinegar and optional sugar and bring to the boil. Once boiling reduce the heat to low and simmer for 15 minutes or until the consistency is thick. Stir during this time. Remove from the heat and allow the pickle to cool. Then transfer to sterilised jars. Allow one week for the flavour to develop before consuming. This pickle then keeps for 6 months, or 2 months once opened (once open store in the fridge). Allow one week for the flavours to develop before consuming. This pickle then keeps for 6 months, or 2 months once opened (once open store in the fridge). 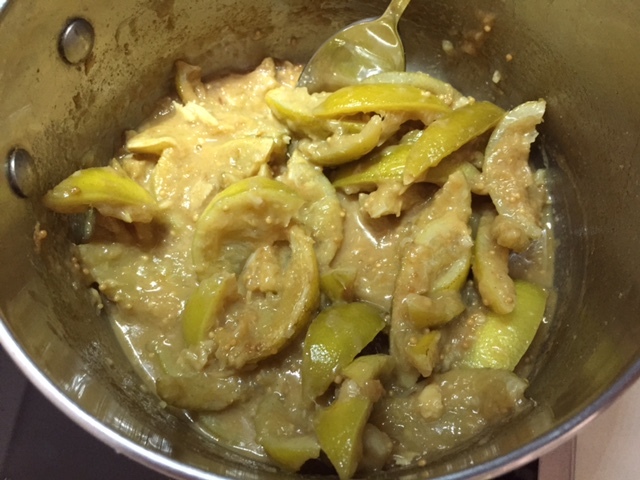 Tags: chutney, garlic, ginger, Indian, lime, limes, pickle, recipe. Bookmark the permalink. Reblogged this on Living Vigorously . Hey there! This look SO good- love all of those spices! I’m wondering what you recommend eating this with. I LOVE to make my own condiments but I was having trouble envisioning what specific dishes I’d eat this with: maybe Indian-spiced roast chicken? Thanks Lauren – I would have this with breads, or as a side with a curry or of course your idea of roast chicken would work too. Enjoy! Looks delicious! Reminds me of the pickled limes you get in Caribbean pepper sauces! Thanks! I haven’t tried Caribbean style pickled limes but they sound great too. gorgeous and yum! Funny how the cost of limes fluctuates so much. I love having them on hand at all times and this looks like a fun way to use them. Great condiment for so many thing. Yes agree – that’s why I try and make the most of them when they’re around. Thanks for the feedback! 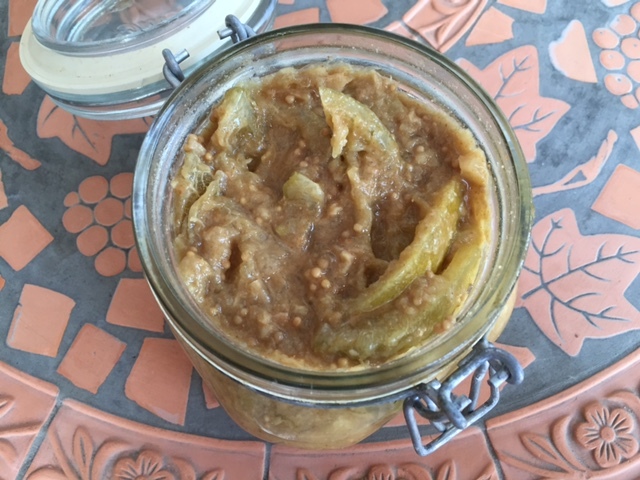 Good to see someone else has tried to make lime pickle – $1.20 is not as bad as I have seen them – I think I paid $3 each over winter on the rare occasion that I was desperate for a squeeze on Mexican dishes!